Fewer residents in Shanghai's outskirts will need to travel downtown for more sophisticated medical treatment as two of the biggest public hospitals in the city announced yesterday that they have established branches in outlying areas. 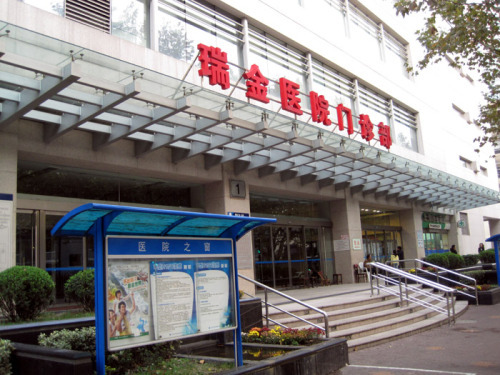 Ruijin Hospital has set up a branch in Jiading District and Huashan Hospital has opened up in Baoshan District, officials said. The announcement marked a major step toward completion of plans begun in 2008 for one city-level health facility, the most sophisticated level, in each of nine outlying regions like the Qingpu, Jiading and Nanhui areas and Chongming County by 2012. The plan also facilitates the goal of redistributing population from the crowded downtown to new towns in the outskirts, officials said. Five hospitals are branches of the city's leading downtown hospitals, three are upgraded from the original district-level hospitals and one was moved from another area. Nearly 5,000 new beds are expected to be added in the outlying hospitals to give residents top-level health services within a short distance. Five new hospitals have started operation, three have been built and are awaiting approval and one is being built. The project can greatly benefit people living in the outskirts and make it convenient for them to see top medical experts, said Vice Mayor Shen Xiaoming. The newly established hospitals also will be used to try out health reforms, such as selling medicines at cost. Hospitals currently are allowed to add up to 15 percent of the purchase price to medicines they sell. Any losses would be reimbursed by the government.